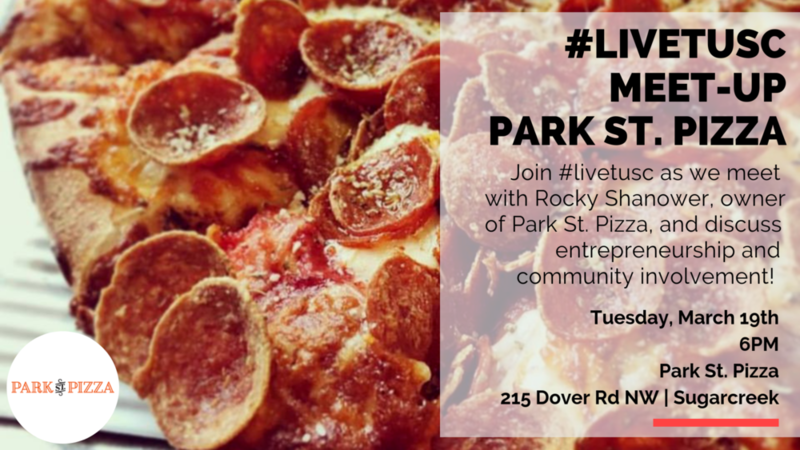 Join #livetusc on Tuesday, March 19th at 6pm at Park St Pizza as we meet with Rocky Shanower, owner of Park St Pizza. Come hang out as we listen and discuss entrepreneurship and community involvement. Invite friends and grab some pizza (on your own) and join the conversation! WB3 performed at the “Friends of Ireland” luncheon on Capital Hill attended by House Speaker Paul Ryan, President Barack Obama, Vice President Joe Biden, and Irish Prime Minister Enda Kenny and has headlined virtually every major US Celtic fest for several years in a row. Now the band is rapidly gaining favor in the Bluegrass and Americana world as evidenced by their invites to Merlefest, ROMP Fest, Sisters Folk Fest, Old Settlers Fest, Four Corners Fest and others. The Winemaker's Barn will be open from 1-4! We will have a selection of wines to taste. You can order from our menu. Items include a selection of wood fired pizzas, chicken salad croissants, cheese plates and flatbreads. Today Scott Paris will be performing! This special two-hour Yoga Event reminds us to look back with gratitude and look forward with HOPE. We are super excited to invite the community to this FREE YOGA EVENT! We will have door prizes and a raffle plus a free-will offering will be taken for the YMCA Annual Campaign. Also available for sale ($12) will be hand designed t-shirts. 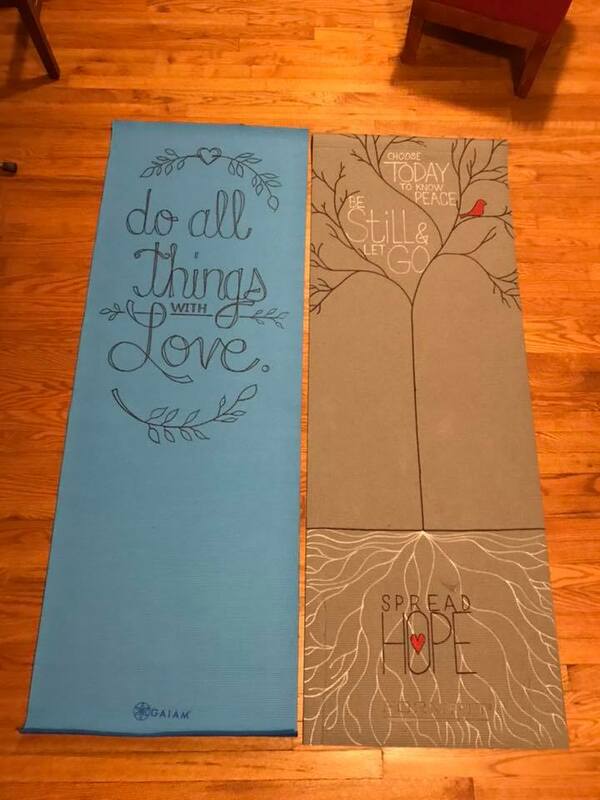 One of the pictured Yoga Mats will be raffled and one will go as a door prize. This event also showcases many of our YMCA Yoga Instructors who share their talents throughout the year at the Y. We are very excited. Space is limited, so come early. Held in the YMCA Multipurpose Room. Quick break at 10 AM and then more Yoga until about 10:45. Events ends with door prize drawings at 11 AM. Childwatch available. Please Stop at Member Service Center. Members Free / Others will pay $5 per child. IT’S THE MOST WONDERFUL TIME OF THE YEAR at Kent State University at Tuscarawas Performing Arts Center! ‘Tis the season to party, so why not enjoy your favorite beverage in a glass you painted! Choose from a variety of holiday patterns or be creative and design your own. Cost is $15 for two wine glasses. Or bring a friend and share the cost. All supplies provided. Bring a beverage and enjoy holiday treats while you relax and paint. Send a PM message to Daphne Perkins to save your seat or call 207-409-6004 for more information. At the New Towne Mall in New Philadelphia, Ohio.